Global warming is a worldwide phenomenon and should be a concern to all of mankind. Scientists from the Inter-governmental Panel on Climate carrying out global warming research have recently predicted that average global temperatures could increase between 1.4 and 5.8 °C by the year 2100. Changes resulting from global warming may include rising sea levels due to the melting of the polar ice caps, as well as an increase in occurrence and severity of storms and other severe weather events. 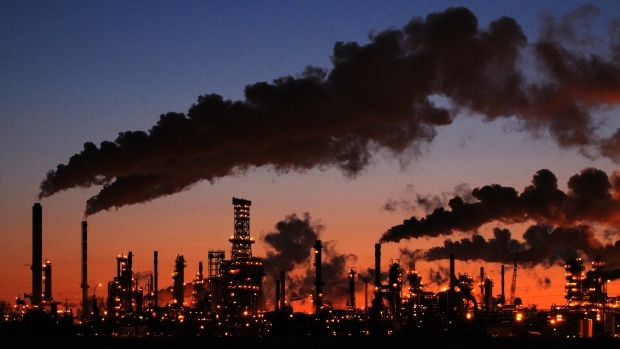 Carbon emissions reached 40 billion tons last year, 2015, with China, USA and India being the worst offenders. This is two thirds higher than 1990 levels. Although road construction CO2 emissions is estimated to be a fraction of this total pollution, it is still a significant contributor, as will be seen further on in this document. Smart Materials are purposely designed and manufactured to address environmental challenges. All products manufactured by Polyroads are developed to the highest environmental standards. Smart Materials challenge the core fundamentals of conventional road construction, pertaining to design, construction and costs. 2. Global warming and climate change through the shear volume and release of CO2 emissions when building these multi-layered roads and stabilizing with cement. The respected market researchers namely, Freedonia Group, a U.S-based firm tips worldwide sales of construction aggregates to expand by 5.8% a year to 53.2 billion tonnes in the five years to 2017. A substantial chunk of the mined aggregate, such as gravel, limestone and crushed rock are used for road construction. India consumes enough aggregate annually to build a road around the world (40,000Kms) , every year, 6m wide by 600mm deep. Crushed stone production in 2015 was 1.32 billion metric tons, an increase of 4% over the previous year. 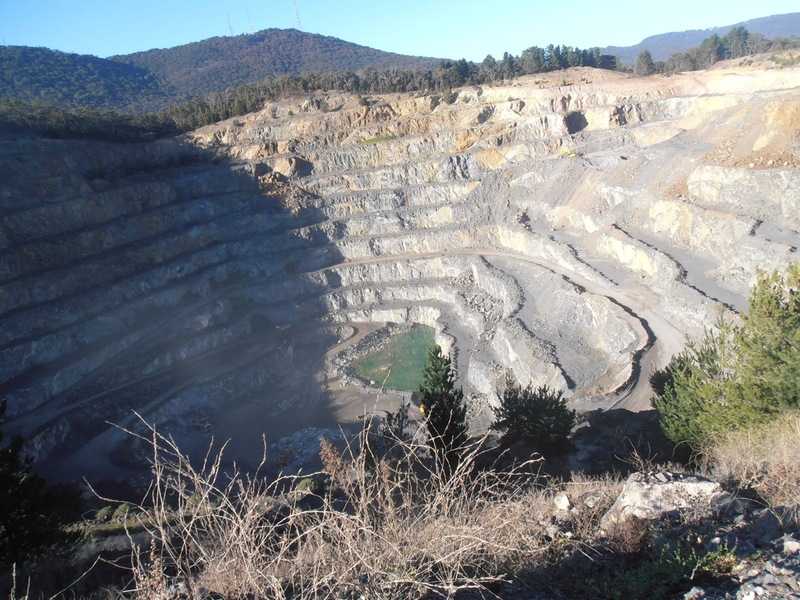 The US Bureau of Mines puts aggregate demand at nearly 2.5 billion short tons of natural aggregate in 2000. Of the 750 000 km of roads in South Africa approximately 600 000 are un-surfaced gravel roads. Every year, more than 150 million tons of gravel (equal to the size of Table Mountain in Cape Town) are stripped from their roads and have to be replaced. SoilTech polymers has been specifically engineered as binders to be used with in-situ materials, thereby reducing conventional road construction aggregate by up to 80%. Not only do SoilTech polymers reduce aggregate requirements, but it also reduces construction time and thereby realises substantial savings in the costs of road construction. 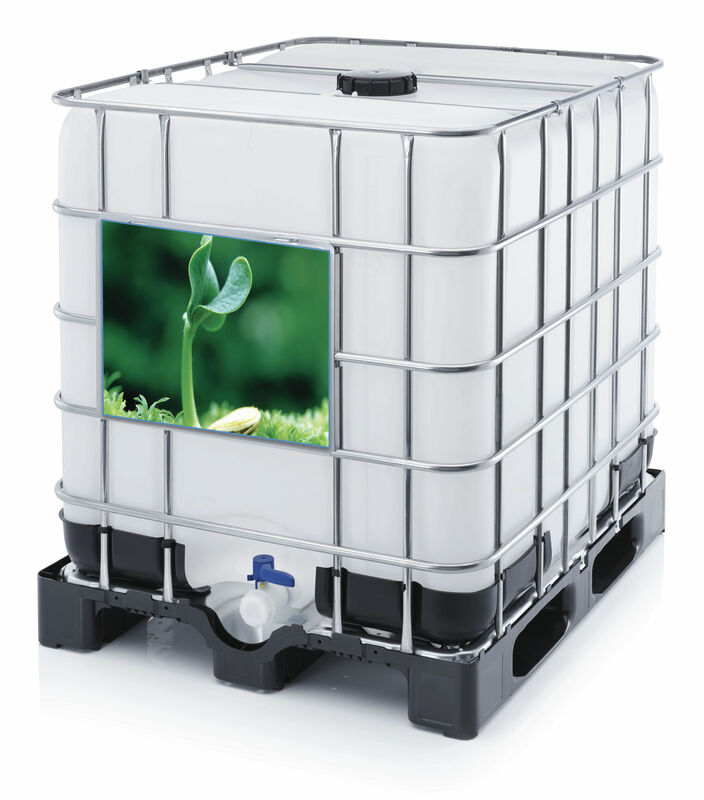 SoilTech polymers will strengthen most soils and aggregates. Formerly discarded materials can now be used in the construction and layer-works of the road. Limited amounts of borrow-pit or quarry materials need to be brought in. SoilTech layers are flexible and do not need the supporting layers that conventional cement stabilized layers require. Reduced layer works, means reduced construction time, shorter plant hours, resulting in more economically road construction. Engineers are now able to construct roads in remote areas that are void of decent materials for road construction. Furthermore Smart Materials are able to bind, virtually any non-plastic materials into a viable and cost effective wearing course seal. Smart Materials are ideal for international donor projects for roads in developing countries. Smart Materials have been designed to be environmentally friendly and is the green solution for 21st Century construction projects. Conventional road design and stabilization consists of a cement stabilized sub-base, preceded by multiple supporting sub-layers of aggregate of fill materials. A one kilometer section of road, measuring seven meters wide, with a cement stabilized layer, using 4% of cement per weight of the aggregate, at 150mm deep, will consume approximately 84 tons of cement which equates to 75 tons of CO2 released into the air and that is only from manufacturing of the cement. This figure excludes the calculated the fossil fuel CO2 emissions during the construction of the cement stabilized layer, nor the CO2 emissions released during the curing period of the cement stabilized layer. Paving with either asphalt concrete or cement concrete requires a number of diesel-burning construction machinery such as concrete mixer trucks, asphalt pavers, and vibrating rollers. Per ton of material, concrete requires 1,9 litres of diesel, hot mix asphalt requires 11 litres. In 2010 the World Bank release a document, Greenhouse Gas (GHG) Emissions Mitigation in Road Construction and Rehabilitation, which states illustrates the GHG in tons for the construction of one Km or road. See Table 1. GHG Emissions. In 2011, Polyroads commissioned ERGOMAX, a CO2 research company, to conduct a CO2 emission comparative survey for one kilometer of road by seven meters wide, stabilized respectively with cement and Smart Materials. The research conducted by ERGOMAX , in comparison to the World Bank reports, excludes culverts and Road Furniture. Research completed by ERGOMAX, indicates a conventional road 1 Km by 7m wide, stabilized with cement will typically produce in the region of 50 tonnes of CO2 . This figure of 50 tonnes per Km is somewhat more conservative than the World Bank’s report. 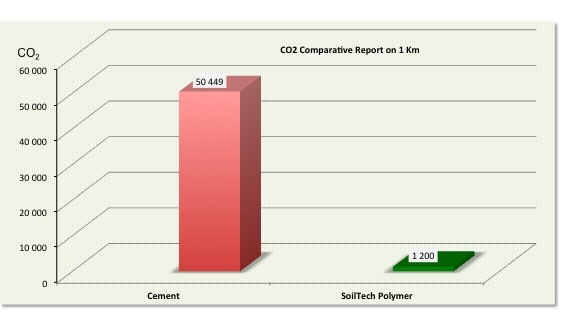 The equivalent road constructed with SoilTech polymer will produce just over 1,2 tons of CO2 per kilometer. Smart Materials reduces CO2 on road construction by more than 96% and can play a significant role in reducing global greenhouse gas emissions.